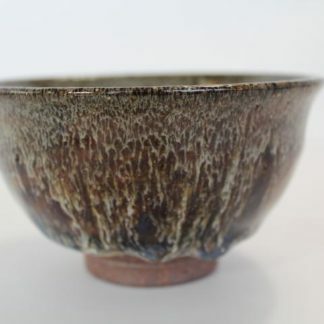 This outstanding yunomi was crafted using daido, mishima and mitake clay, covered with a glaze of straw ash, and done in neutral firing with a temperature of about 1300 degrees. 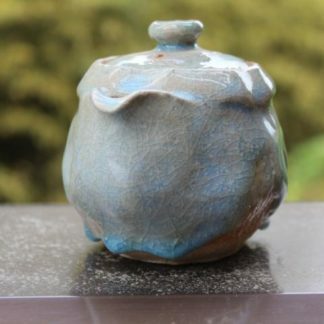 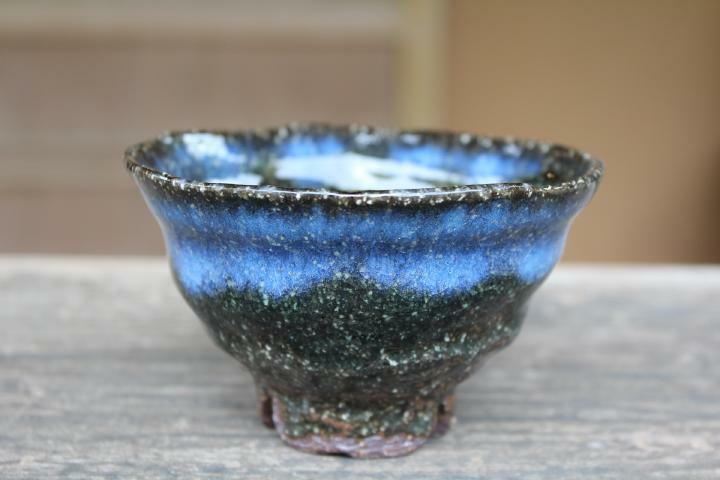 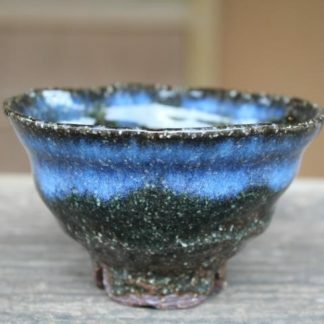 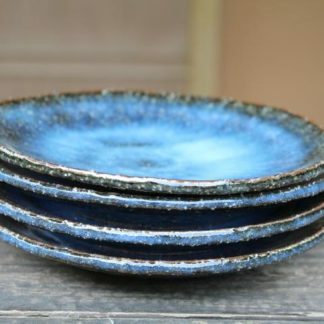 A delicate, watery blue glaze with fine crackles(kannyu) is stunningly beautiful. 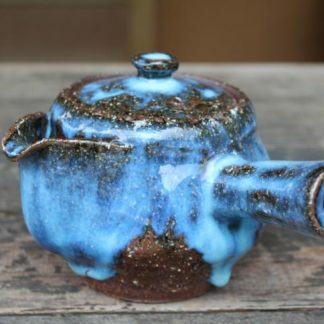 Shipped with an artist signed box in perfect condition.